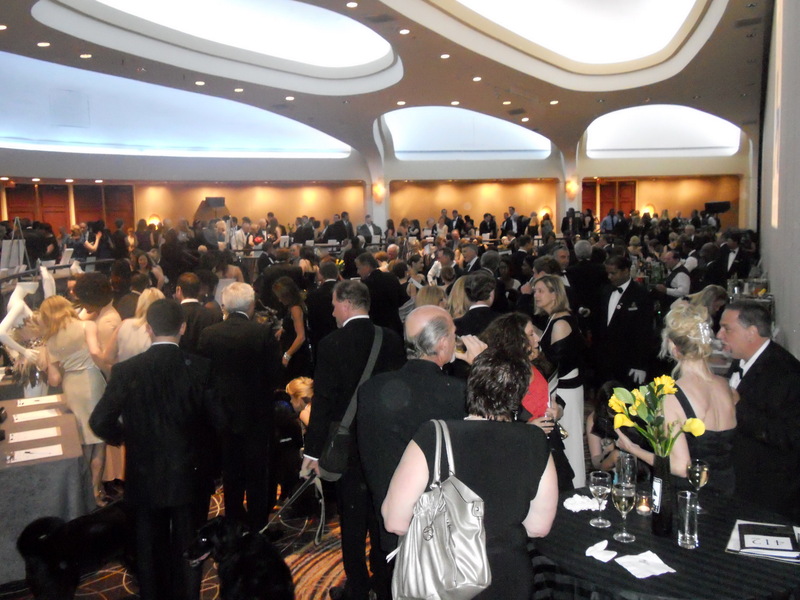 Hundreds of supporters of the Washington Humane Society dressed up in their best black tie attire and enjoyed a fun night of cocktails, a gourmet dinner, and a silent and live auction at the Washington Hilton on Saturday, June 4. 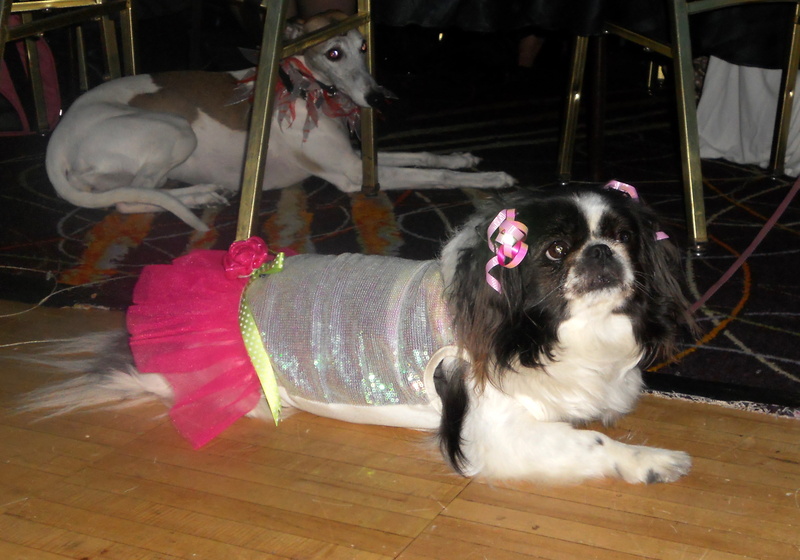 The event is the WHS’s biggest fundraiser of the year, and the money raised helps the animal welfare agency touch the lives of more than 30,000 neglected, abused, abandoned and injured animals each year. 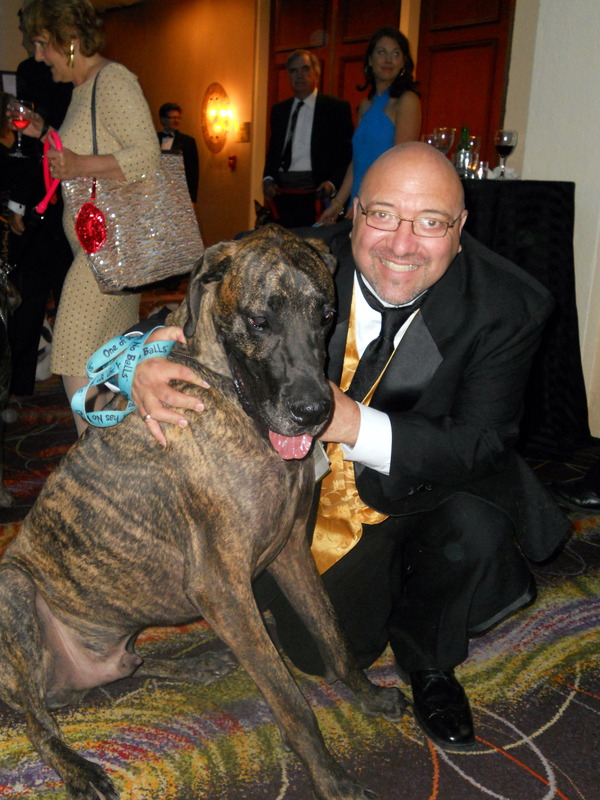 The next best thing about the Bark Ball, though, is that you can bring your dog! 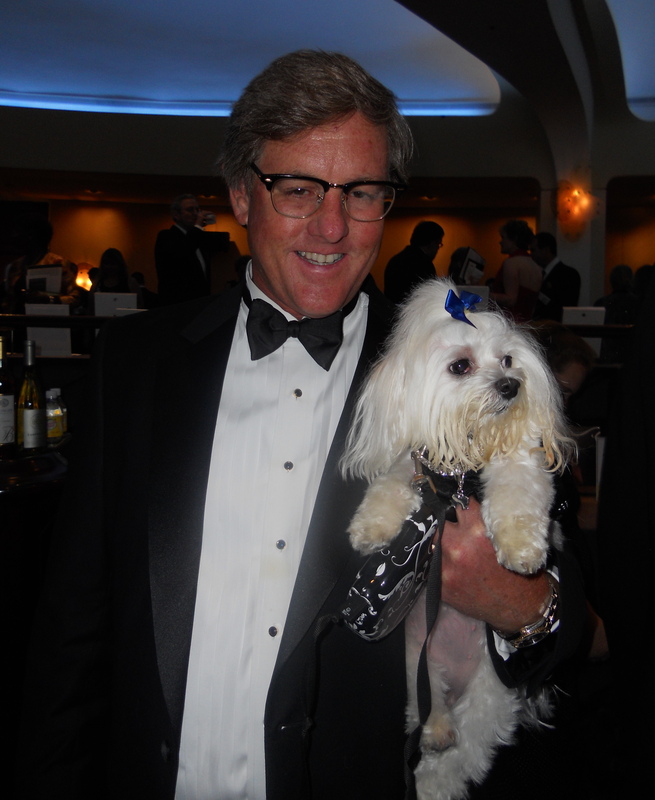 To fit in with the well-dressed crowd, Sundae and I donned our best LBDs (little black dresses) and accessorized with some festive bling. We were far from the only blinged-out babes, however! 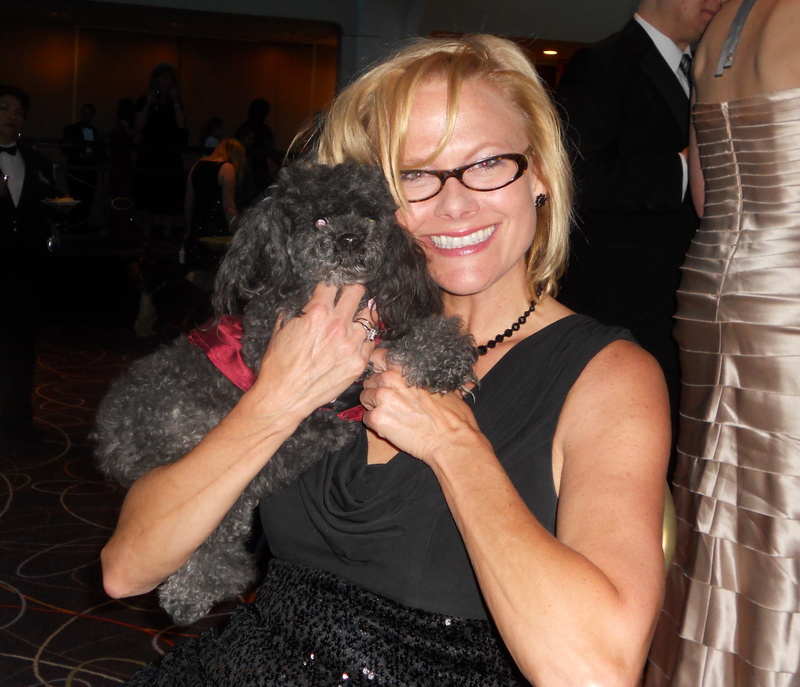 This adorable toy poodle and her stylish owner also were both in matching black. 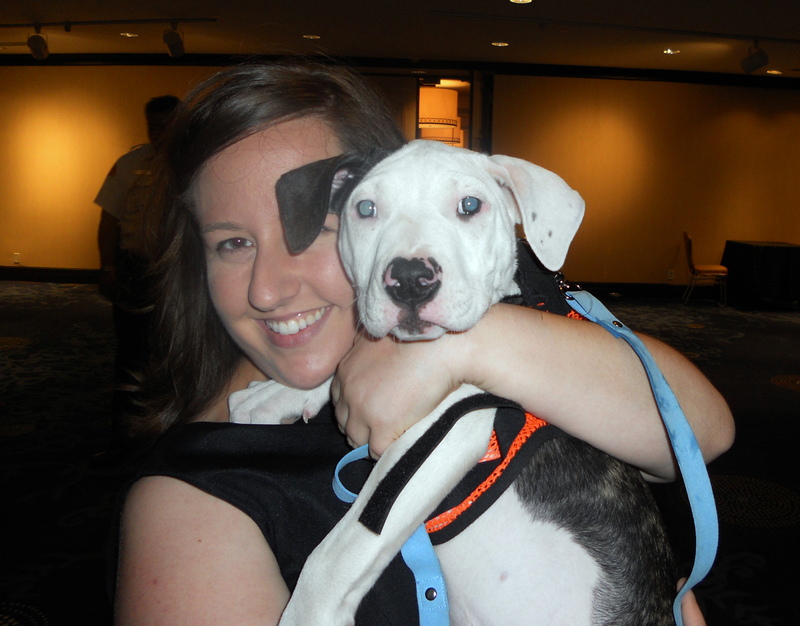 Fox Five’s Allison Seymour served as mistress of ceremonies, and she escorted April, a two-month-old terrier/pit bull mix, during the parade of adoptable dogs. April, pictured below with a WHS volunteer, is hanging out with a litter of labrador mix pups at the New York Avenue WHS facility since all of her brothers have been adopted. See more pictures and information about April here. 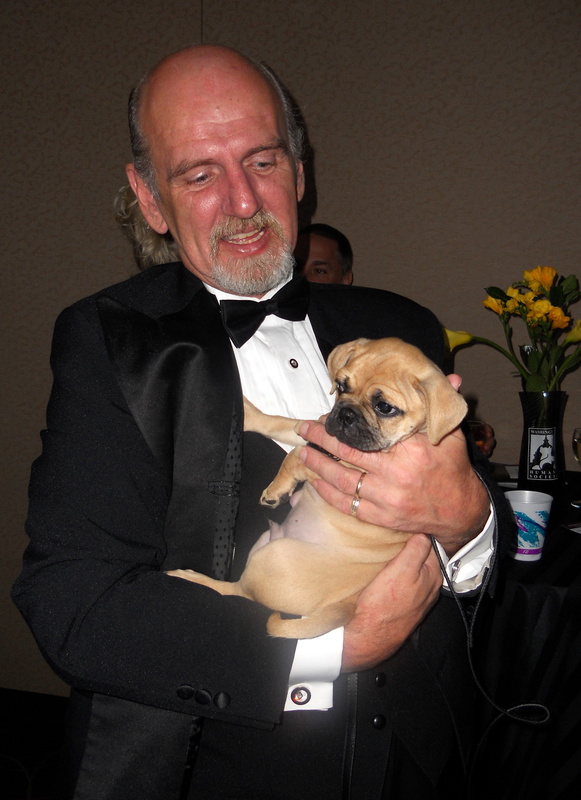 The 2011 Bark Ball mascot was Moyshe, who was recently adopted by a family along with another dog from the shelter. Moyshe was happy to pose with his program cover. 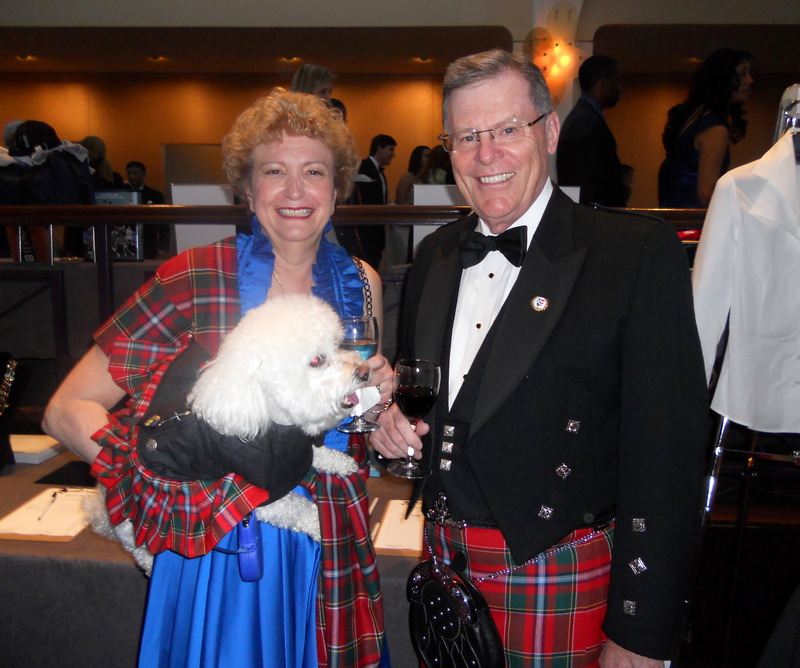 Many owners matched their dog’s outfits to their own, such as this tartan-clad couple and their kilt-wearing pup. 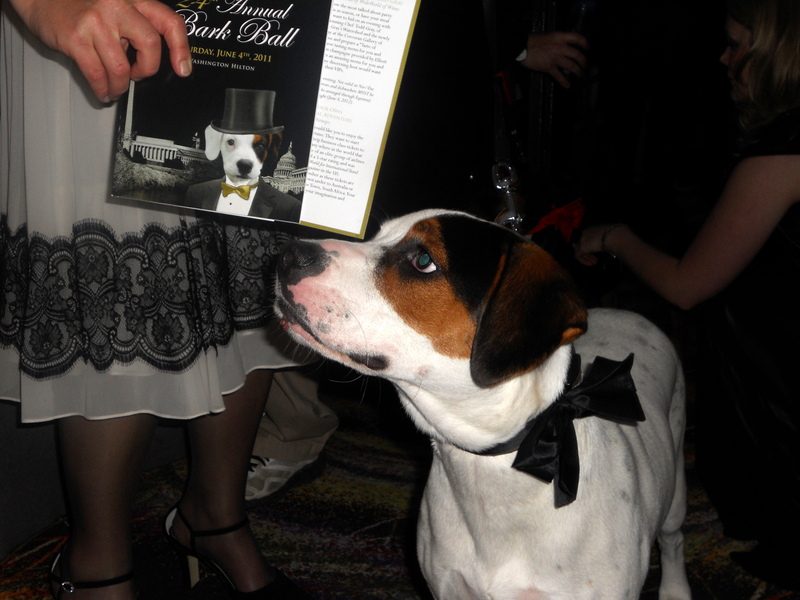 Tuxedos were also in abundance, both on human and canine guests. 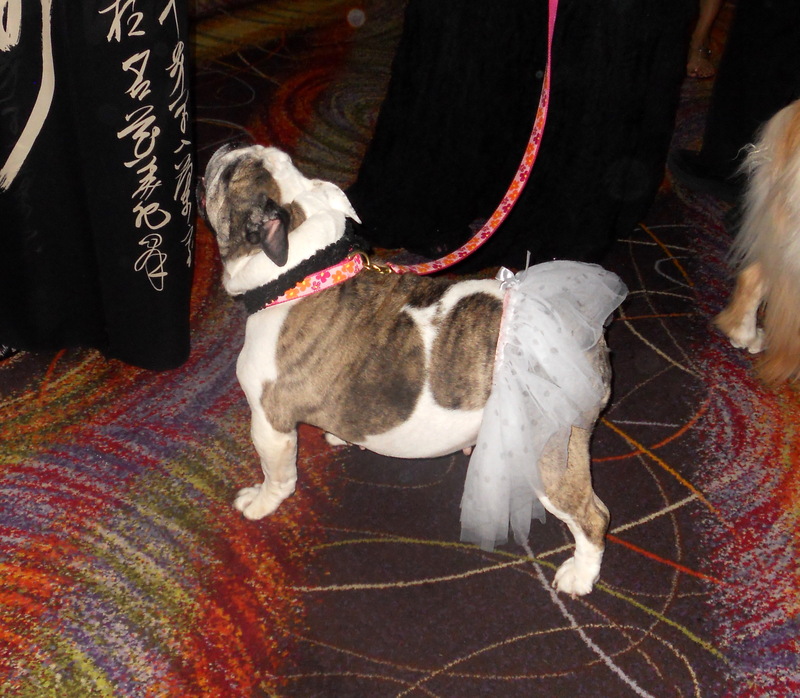 …and there are few things in this world cuter than a Bulldog in a tutu. The highlight of the live auction was a pair of business class roundtrip tickets to anywhere in the world on Qatar Airways that went for $7,500. 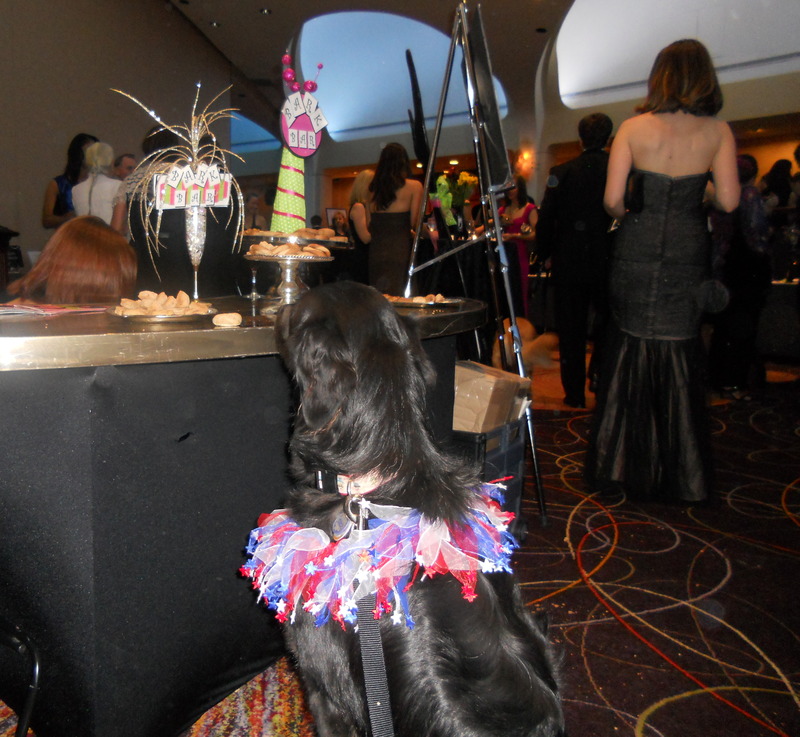 Jewelry, sports tickets, spa services and artwork were among the items in the silent auction. 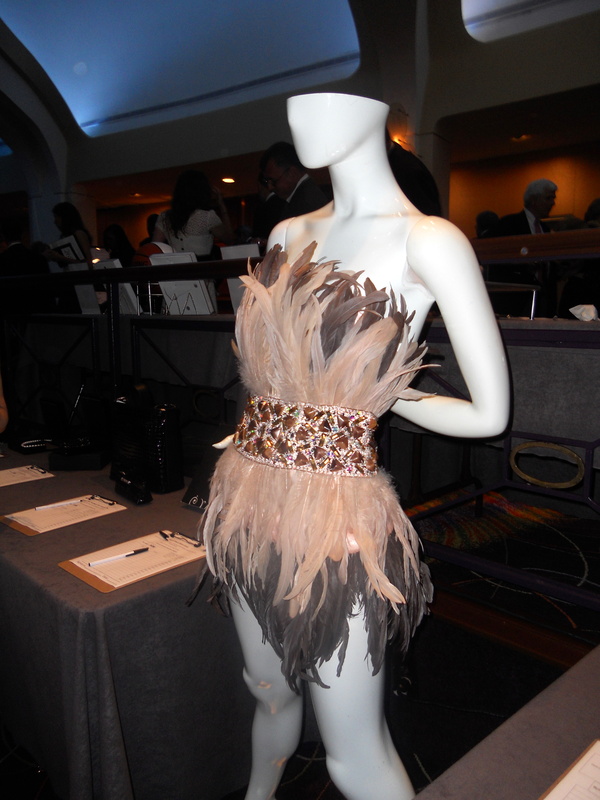 One of the more curious silent auction items was this feathered cocktail dress, which drew A LOT of attention from the dogs–especially the Labradors, Setters and other bird-hunting breeds. Many of the pups were pooped by all the activity (although most didn’t poop, I saw very few accidents being cleaned up by the young volunteers). 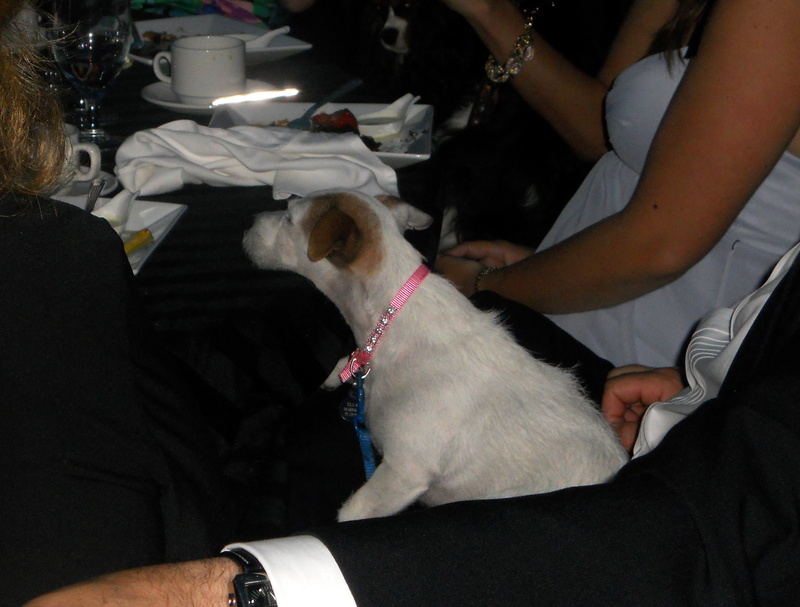 This rhinestone-collared Jack Russell Terrier watched the auction using the table as a head rest. 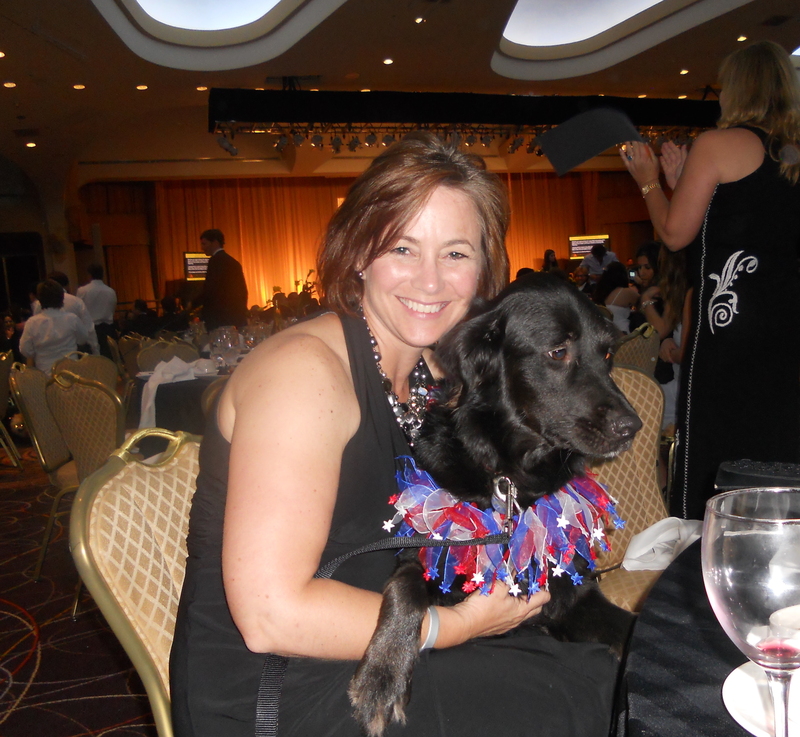 By the end of the night the WHS, which see 1,200 cases of animal neglect and abuse in Washington, D.C. every year, had raised thousands of dollars. This year they are kicking off a major fundraising campaign to build a new, state-of-the-art adoption and animal care center. I hope Chatham wasn’t too jealous being left home!